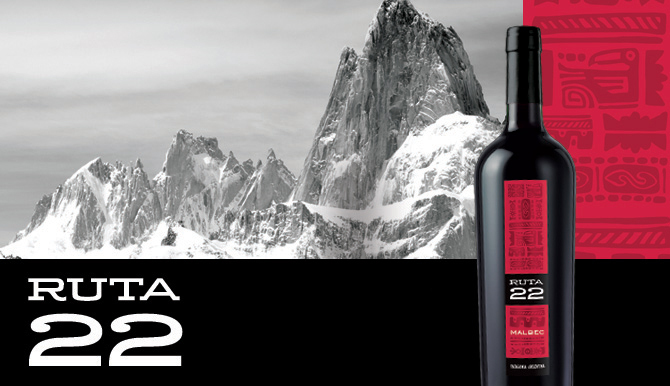 Ruta 22 is a premium Malbec from Mendoza, Argentina that harnesses the adventurous spirit of Argentina through its modern packaging and bold winestyle. The high altitude of our vineyards creates exceptional conditions for growing Malbec grapes that produce wines with intense and complex flavors and exceptional structure. Our wines from Mendoza are named Ruta 22 after the main route used to travel from East to West through Argentina.